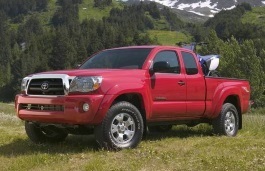 Correct Wheel Sizes, PCD, Offset, Rims and Tire specs for Toyota Tacoma series. 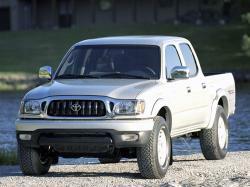 I have a 2003 Toyota Tacoma Dbl Cab, 2 WD. Tire size P265/70/R16 -6 bolt pattern. looking at custom wheels. What offset range can I go with. 0, +. - and not change drivability? p225/75/15 on Toyota Tacoma 2013? 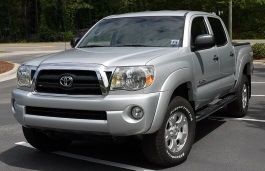 Is there any issues going from tire size p215/70/15 to p225/75/15 on my Toyota Tacoma 2013 4x2 ? Nope those will fit no issues. Can you tell me the Backspacing, and offset for my 2009 Tacoma OEM wheels which are 17" and 6x5.5 bolt pattern? 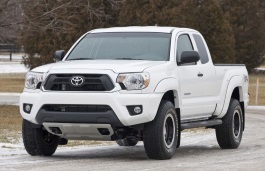 Your info on the 2014 Toyota Tacoma rim specs are grossly incorrect. I relayed on this info to purchase new aftermarket rims and they would not fit my 2014 Tacoma. Will stock 07 tacoma wheels fit a 03 tacoma? Installing 2in. Leveling kit on 2014 tacoma 4x4 V6 engine. Can I install p285 75 16 tires on my 16 in rims? Are they 16x7 or 16x8 rims? Your stats show they are 16x8. Can you tell me what the back spacing is on a 99 Tacoma 4x2? 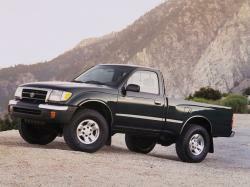 Will 2015 Tacoma wheels 17" 6 lug fit a 2002 Tacoma pre runner with original 16" 6 lugs? Pls help, thanks! I FOUND SOME FROM A 2008 N 2015 MODEL WILL THEY WORK? Hi,Sean,The wheel size is ok.I am affraid the offset is too different,The OEM offset for 2010 tacoma is 29,But it is 20 for 1996.I suggest that you can try to install it.If the offset is small,You can ask the car wheel shope increase the spacer. I have a 2007 tacoma 5 lug with stock 15's. I want different wheels. What offset can I go with to put my tires even with the fenders or at most one inch wider than the fenders? I really dont know how to put pictures on here. But they are the stock metal wheels. Will a 2012 Lexus GX 460 wheel fit a 2015 Tacoma? Thank you John, they have some sweet fsport wheels for a 2016 gx460 that would look great. I was just concerned the hub bore was 106 and the offset was 20. I will post pics when I get them! What wheels from other Toyota cars will fit a 1996 Tacoma ? 1997Camry? Hi,Renee Sigler,6*5.5'' bolt pattern is ok,but 18mm offset is little small,The stock rims offset is 29mm,I suggest you can put a spacer on it. Calculator does not retain OEM spec. 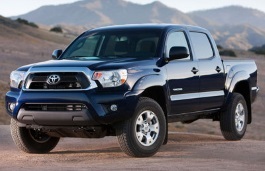 I used the OEM spec sheet (Toyota Tacoma 2015) and selected the OEM and one custom spec in the list as instructed. But when I clicked on the hand icon to add these specs to the calculator, it did not work; the calculator just defaulted to some other specs, and I had to manually enter all the specs. This is frustrating, because I especially hoped to get the OEM fender clearance specs. Please investigate. Thanks, John. I should add that I was using Chrome on a PC, Windows 7 Pro. 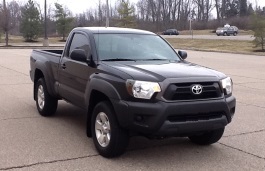 I have an 2008 Toyota Tacoma TRD Sport 4x4 that is all OEM suspension. My wheels are the OEM 17"x7.5" (offset +30) running stock 265/65R17 tires. I was looking at a set of wheels that are 18"x9" (offset +25) but I have a scary thought it will conflict with suspension in the front as the stock wheel I can hardly fit my finger in between them. Do you have any data that suggests it would rub? Other option for same style of wheel is to do a +12 offset....which would almost be exact suspension clearance as OEM. Any thoughts? Hi,Ben,Normally,If the new wheel offset have +-5mm than the original wheels,they are compatible.But according to your discription,You can hardly fit your finger in between the wheels and wheel fix disk.I think you can use some wheel spacers to increase the new wheels offset.After fixed,You can drive and test it. I have a 2002 TRD Tacoma. If I go with the 17inc TRD Rims what is the biggest aggressive tire I can go with with getting it lifted or adding spacers? 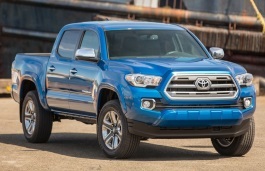 Does a 2016 Tacoma sr5 4×4 double cab share the same tire as a 4×2 double cab 2016 Tacoma? I'm getting a 2" OME full suspension lift on my 2008 4x4 trd sport double cab taco. It seems like the best tire size without trimming even with the lift is a 265/70/r17. I'm also thinking of getting some Fuel Anza wheels that are 17x8.5 and come in either +6 or -6 offset. I believe that means 5 or 4.5 BS? I'd rather my wheels not stick out much, but would the +6(5 backspace) fit ok? Current stock wheel specs are 17x7.5 +30 offset (5.5 backspace). Thanks!!! Hi,Joe,if you stock rims offset is 30mm.it is not compatible to use rims that have 6mm offset.It is very possible to make your brakes collapse your wheel spokes. Even if the new wheel is 8.5 width vs. the 7.5 stock? Hi,Brad,Tucoma have different bolt pattern,5*114.3 and 6*139.7.If they are same,it can fit for.For the tire,you need to show the detail tire size and i can help you confirm it. 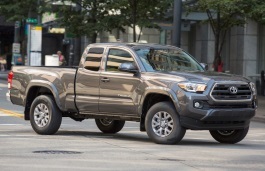 you do no list the 18x6x139.7 wheels found on the 2014 Tacoma 4wd Crew cab limited. 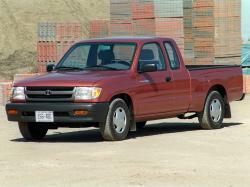 I have a 2003 Tacoma double cab 4x4 I bought aftermarket wheels. The wheels fit fine but the center caps wont fit. what is the measurement on the front hub assembly and what center caps should I get. The wheel company says the ones they sent are the correct ones for my truck. Will stock rims from a 2014 Tacoma 17 X 7.5 with 5.25 backspace fit a 2004 4Runner that also has 17 X 7.5 rims. Sorry I don't know what backspacing is. Hi,PJBear,Do you know the Tacoma bolt pattern?It have 5*114.3 and 6*139.7 editions. It is the 6-139.7 pattern. I did mistype the 4 Runner year which is actualy a 2005. I have a 2015 Tacoma with 245/r75/16 tires with a 6 lug pattern. I am looking to purchase a set of 2017 Tacoma "take-offs" that are 6 lug and the tires are 265/r70/16. Will this work? Is the tpms from the 2017 compatible with my 2015 Tacoma? Hi,Russ Frazier,yes,it can fit for. Will the tpms from the 2017 also work? Hi,Russ Frazier,Normally,The tpms is same for a car model. Hi,GLENN PAULEY,The stock wheel offset is 20 mm.For your tires.Can you show the complete tire size?It can help me to confirm for your. IF STOCK IS 20MM-- AND I WENT WITH A 10MM OFFSET WOULD THE WHEEL STICK OUT A LITTLE FURTHER? IVE BEEN RESEARCHING STOCK OFFSET AND ONE OTHER PERSON TOLD ME THAT STOCK IS 30MM???? Hi,Glenn Pauley,The stock offset is 20mm.You can try it. I would appreciate the spec of 17” rims required for a 2016 Toyota Highlander XLE for installing winter tires. Currently the vehicle is fitted with 19” rims & 245 55 R19 tires. As there are no steel rims available for 19”. Toyota asked me to go for 17” rims with 235 65 R17 tires. The have said to use the Toyota standard 17” rims. They have not shared the dimensions/spec of 17” rims to me. I would appreciate if you could provide the spec for Toyota 17” inch rims. will 16 in. rims off a 2009 Tacoma fit my 2015 Tacoma. it has 18 in. rims on it now. Hi,Geoff Dodd,No,Both bolt pattern and offset of tundra is different from tacoma. Can anyone tell me the backspace and offset on 2003 tacoma 4x4 wheels 15x7 6 lug bolt pattern ? Please ! hi, could you tell me the space between each lug on the stock rims on a 2017 Tacoma SR5? will rims from a 2017 Tacoma SR5 fit a 2005 Tundra SR5? Hi,Randy,Does your car is 2.7 2wd tacoma?If not,you can use 2017 to 2005.If yes,these two car wheel have different bolt pattern,They are not compatible. 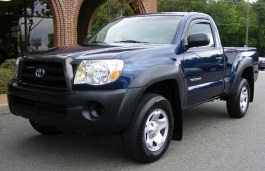 i have a 2001 4 wheel drive tacoma 3.4l . 265 75r 16x7j rims .15mm offset. can i use the newer 17x7inch rims with a 30 mm offset .can i use 17x7.5 inch rims with a 30 mm offset . lots of factory take offs available . the devil is always in the details . Hi, grant,For you car model,The stock wheel offset is 15mm and offset 30mm is not compatible with your car. Hi,Richard Starr,For Tacoma,22'' is too big for it. What is the hub stud length on a 2017 Tacoma TRD Off Road - is it >27mm? I ask because I would like to put 1.25" spacers on my hubs and still continue to use the OEM rims (16x7) and 265/70-16 tires. Or will I need extended lug nuts to attached the after-market hub spacers? Thank you! I am interested in determining if a 2017 Toyota Tacoma 17" wheel with a ET30 mm offset will work on a 2003 Tundra that that has a ET15mm offset without interference anywhere. The tires to be used are 265/70/R17. Both lug patterns are the same.